The worst fortnight of the year has hit us yet again: dead week and finals. We’re all dreading the hours spent in Main Stacks poring over books (or sleeping on them) and really would rather not fill our brains with (debatably) useful knowledge. We’re anxious about our grades in each class and whether or not that curve will save us, and all we want to do is nothing at all. We at the Clog understand and feel this pain, so we’ve tirelessly searched for (and found!) 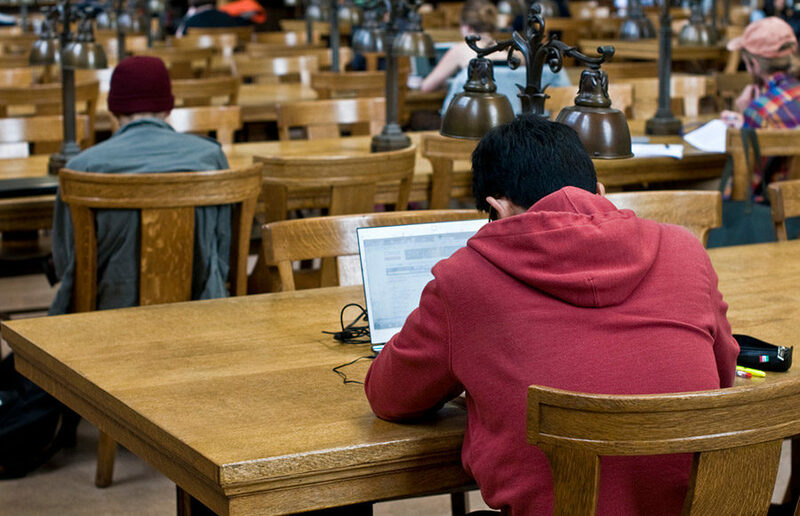 some ingenious, research-proven ways to just get out of finals. First, you could move to Canada. A lot of people here at Berkeley and across the United States are discussing this option after the events of Nov. 8th, so why not join them? There’s no better way to drop finals than to move to another country (and follow your political compass along the way!). In Canada, you’ll be able to eat some maple candy, ski in beautiful snow at Whistler and never study again. We promise! You could also break your leg — literally. No, we’re not talking about the theater idiom in which we want you to “break a leg” while taking your finals. We want you to fall off your bike, fall off a tree, basically fall off any object you can. You’ll be in pain for the short term, but for the long term your surgery and recovery time will most likely get you out of all your finals! However, we cannot guarantee this: This is UC Berkeley, and the professors might have you take your final in your hospital bed. Moving on, we also think you could dye your hair, legally change your name and live among us, but not with us. You could be a fly on the wall, a part of society but also its watchful guardian or “superman” (any “Crime and Punishment” fans?). You would basically drop all of your finals, drop your life, too, and become an outsider! Just completely change your concept of humanity and live on the edge. Oh, and speaking of lodging, you would probably have to live in a cabin in the woods or a hobbit hole — whatever makes you even more of a hermit. Even though we think the idea of embodying real-life Raskolnikov can’t be beat, we also think you could just sleep through all of your finals. Purposefully don’t set any alarms and put yourself into serious relaxation mode. Don’t think about anything but clouds, pillows, sheep and sleep for the next two weeks. Wake up for some truly fantastic Berkeley food and then head right back to sleep again. It’ll be easy, because it’s all we college students do anyway (yay for fun college stereotypes!). Last, but certainly not least, you could just drop out of Berkeley! College is really not all that important anyway. You can live without it, because college just doesn’t give you that many opportunities! You’d honestly just rather watch Netflix and relax during dead week and finals week than deal with studying, so just drop out! Just think of all the incredibly successful people that dropped out of college: Steve Jobs, Bill Gates, Abraham Lincoln and John Mackey, the founder of Whole Foods (bet you didn’t know those last two). Keep those people in mind and just drop out. Good luck on finals, Bears (for those of you who decide to stay and take them). But if you’re really hating finals, just fall off a tree or move to Canada. It’s no biggie.